I would love to get @flemtitalianrockband 3000 li.. I would love to get FLEMT Italian rock band 3000 likes by the weekend. Could you help me reach my goal? 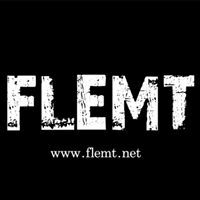 If you haven't already liked FLEMT page, you can go to the link below, go straight to their page and like it. I've made it easy for you. The second thing I would ask of you is to invite your friends to go to FLEMT page and like it.